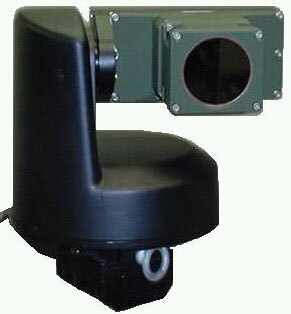 The SEE IR unit is a passive un-cooled Thermal Imager (TI), operating in the far spectral band. SEE IR P&T operations are controlled via serial link. For surveillance applications, maximum panoramic vision is obtained while the SEE IR P&T is roof mounted.